Nan was mentioned in a Houston Chronicle article on November 10th, 2016 about the election outcome as explained by Astrology - Click here to read the full article. Click here to watch Nan's interview on KHOU, 30th March 2016 Interpreting Your Dreams. 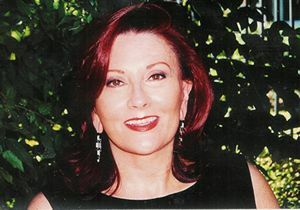 Nan Hall Linke is a well known Houston astrologer/psychotherapist, having been in practice since 1971. In this capacity she has counseled individuals, couples and families, as well as various business enterprises. For most of her time as an astrologer, Nan has often been featured on television, radio and in various magazines and newspapers. Her approach to astrology is very practical and her directness is the foundation of her personal style. In addition to her expertise in astrology, Nan was educated as a marriage and family therapist at the University of Houston Clear Lake and taught at the C.G. Jung Educational Center in Houston, Texas. 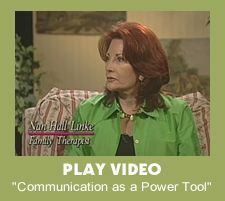 Nan Hall Linke is a psychotherapist with a spiritual focus. In this capacity Nan is similar to a midwife, helping to bring about change and growth through contact with the spiritual dimension. Nan works to help each individual understand their life journey from the perspective of synchronicity, rather than fate. Her interior world is ripe with dreams, symbols, archetypes and adventure. Through leading and teaching group classes in ritual, she helps others to quest: coaxing, encouraging, even guiding people to open doors inside themselves, to become in a word a "leaping beauty, not a sleeping beauty". Nan Hall Linke has been honored by the American Federation of Astrologers as a member of their teaching faculty at many national conventions. She was the Executive Secretary of the first Houston Chapter of the National Council for Geocosmic Research, Inc. Her no nonsense practical approach to astrology as a growth and development tool, rather than a predictor of fate, makes her unique among her peers. Nan Hall Linke is also available for dream consultations having been a dream interpreter for over 30 years using the philosophy of CG Jung and Edgar Cayce as a basis for understanding dream symbols. Ritual, which is a process of engaging the feeling function through the use of imagination and symbols, is her specialty, either in small groups or individual sessions. Have some fun with astrology: Nan is available for parties to provide a light hearted look at a serious subject. Nan's associate is also available for tarot/palmistry to complement mini astrology sessions. A great idea as a treat for your parties. Services will be customized for your special occasion. Rates vary depending on time and distance. If you would like to schedule and appointment with Nan Hall Linke, click here.